Habitat - Low fields, waste ground, springs, roadside ditches. Other information - This weedy species can be found mainly in the southern half of Alabama. 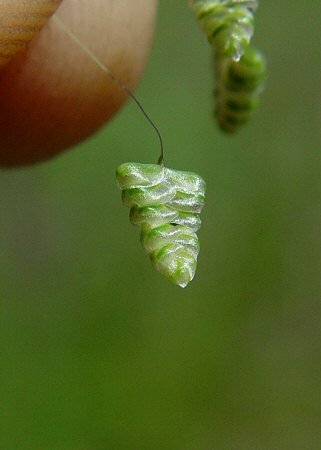 The plant is easy to identify, even from a great distance, becasue of its globose panicle of deltoid spikelets. 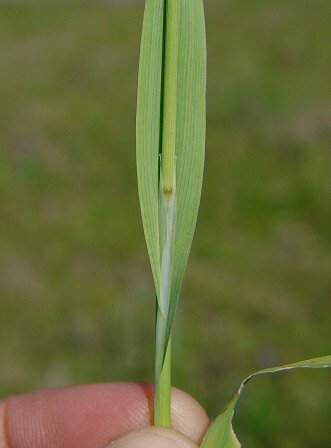 The branches of the panicle are very thin and flexible and the spikelets quake with even the slightest breeze, hence the common name of the plant. 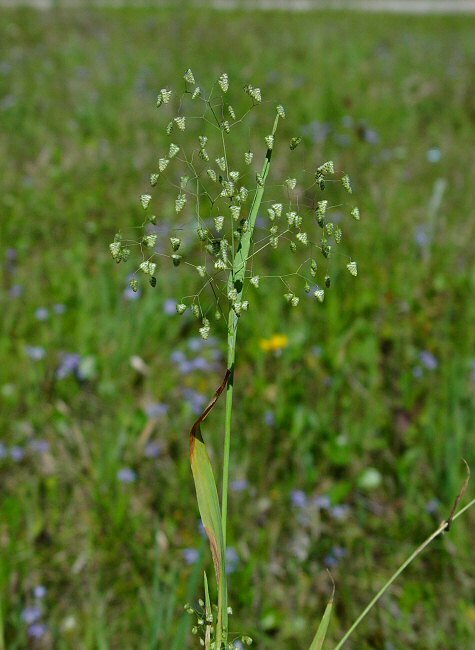 The genus name Briza derives from the Greek "briz(o)" meaning "nod, sleep, a grain" referring to the drooping spikelets of the plant. 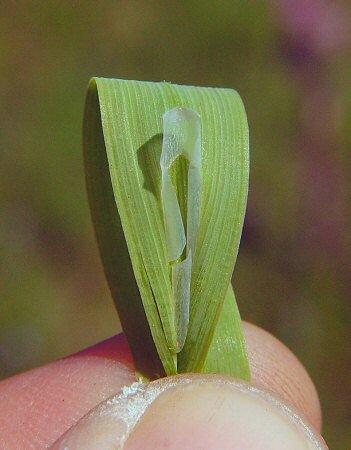 The species epithet minor is Latin for "less, smaller" as some other species are much larger than this plant. Photographs taken off Hwy 98, Wakulla County, FL., 3-29-05.